On Tuesday 2/12 there are no classes scheduled (PDF!) for Lincoln’s Birthday. Look for an update early next week for the following reading assignment, though note that we’ll be moving on to Piñero’s Outlaw, so be sure to get a copy. If you missed class on Thursday 2/7, email me to choose a date for a group presentation. You might find it helpful to subscribe to new posts for this site: use the e-mail sign-up form on the main page. If you’re new to the class, welcome! Be sure to carefully review class policies on the syllabus, especially absences and screens in the classroom (they’re not allowed at all). Review the key points of the Juan Flores essay that we covered Thursday: the points he makes here are key to the course. What’s the relationship Flores poses between Caribbean communities in New York City and how does he see this as an alternative model to the Melting Pot Theory? 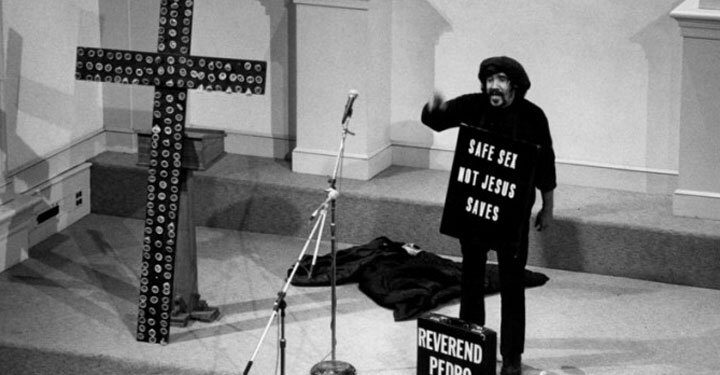 Read the interview with Pedro Pietri (PDF on the Readings page). Apply Flores’s points to Pietri’s interview: that is, see if you can see similarities between Pietri’s life story and Flores’s points. What seem to be key events in Pietri’s life? How do those events seem to affect his outlook on the world? How do those events seem to affect his poetry? What’s his view of organized religion? Think about the questions above as you read and take notes on them. “Puerto Rican Obituary” (Note: “Puerto Rican Obituary” is both the title of his most well-known poem and the title of the book it’s from) and “The Broken English Dream.” Be sure to read “Puerto Rican Obituary” slowly and carefully. Do points from the interview and poems reflect Flores’s “4 moments”? Make notes of points that do. Highlight/underline and mark specific passages in the readings. What connections do you see between the poem, Juan Flores’s essay, and the interview? Remember to sign up for the class text message service from Remind. Send a text to 81010 with the message “@urbwrt2” (no quotes) to sign up. If that doesn’t work, send a text with the message “@urbwrt2” to (608)-467-4328. Remember to sign up for the class text message service from Remind if you haven’t done so already. Send a text to 81010 with the message “@urbanwrite” to sign up. If that doesn’t work, send a text with the message “@urbanwrite” to (608)-467-4328. “Puerto Rican Obituary” (Note: “Puerto Rican Obituary” is both the title of his most well-known poem and the title of the book it’s from) and “The Broken English Dream”. Be sure to read “Puerto Rican Obituary” slowly and carefully. Remember to sign up for the class text message service from Remind if you haven’t done so already. Send a text to 81010 with the message “@urbanwrite” to sign up. If that doesn’t work, send a text with the message “@urbanwrt2” to (608)-467-4328. Read the interview with Pedro Pietri (PDF on the Readings page). Read this first. Next, start on the section from his book Puerto Rican Obituary, also posted on the Readings page as a separate PDF. Focus on the poems:”Puerto Rican Obituary” (Note: “Puerto Rican Obituary” is both the title of his most well-known poem and the title of the book it’s from) and “The Broken English Dream”. Be sure to read “Puerto Rican Obituary” slowly and carefully. The poems are short, but you’ll have to read them slowly and carefully and take good notes. Focus on the same points as above and think about how Pietri’s work describes the urban experience in general and tells stories of Puerto Rican communities in particular. Also, what similarities do you see between his work and other urban narratives from TV, film, or music?